"Set yourself 'the challenge of the summer' whilst spending the weekend in the gorgeous coastal villages of Port Isaac and Port Gaverne. Choose from a selection of races to challenge you, swim for fun or come back to beat your last year's personal best! 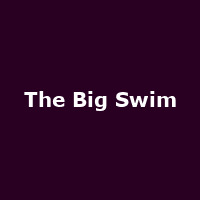 If you are new to 'The Big Swim', welcome! The Big Swim has raised thousands of pounds for charities. Every year you raise more and more! Well done and thank you to everyone who took part and contributed to this success. The Big Swim was initiated by Sarah Coates, who wanted to inspire locals and visitors to utilise this amazing natural resource on their doorstep, take to the open water to push boundaries, create a fun personal challenge, whilst raising money for local charities that support our fragile coastal communities."